Issued in 2nd-1st Centuries B.C. 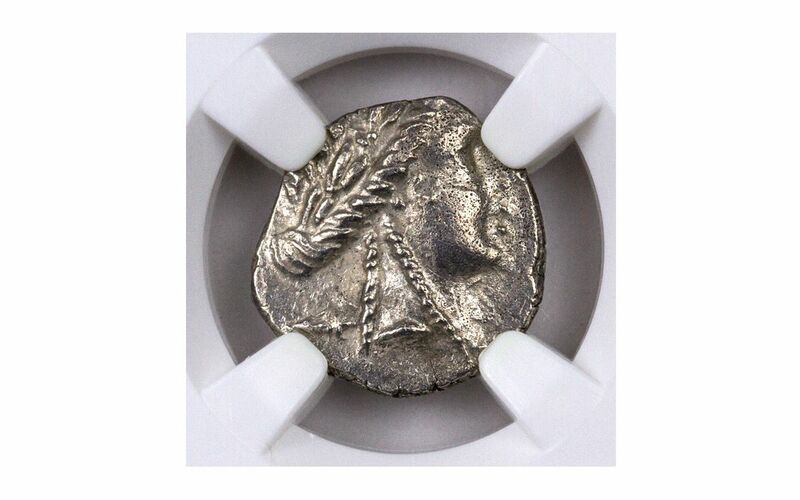 by the Greek city-state of Olympus, these silver drachms display the head of the Greek god Apollo on the obverse, and the reverse depicts a cithara – an ancient stringed instrument similar to a lyre. 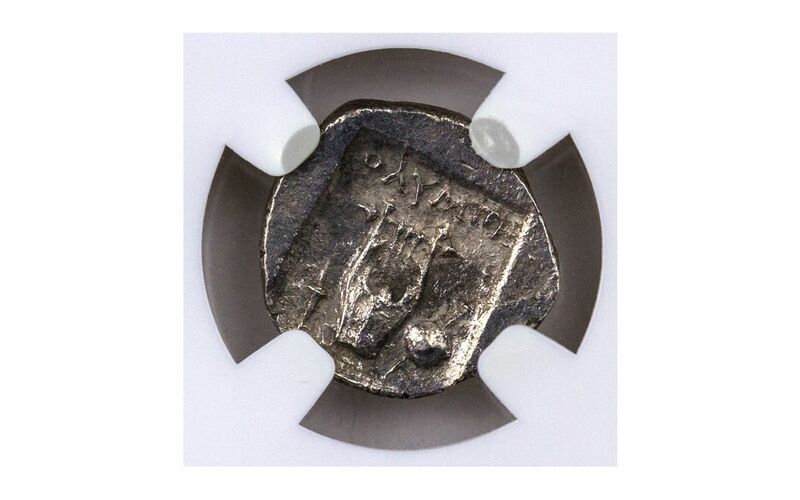 What makes these coins so important is their existence during the time of the Lycian League. This group of Greek city-states came together in the early 2nd century B.C. in order to create a united front in making requests of Rome, who controlled the area. It was like an early version of the United Nations, and these coins were there to see it in action more than 2,000 years ago! 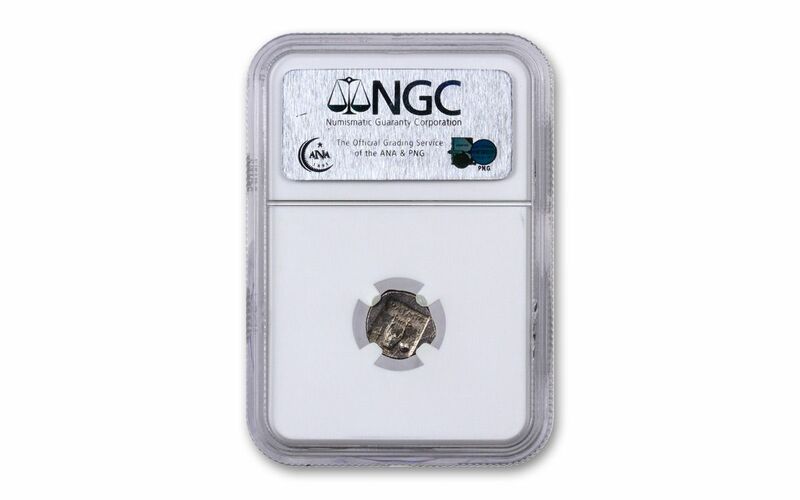 You can secure this coin graded by the Numismatic Guaranty Corporation (NGC) as being in About Uncirculated (AU) condition. Thanks to their strong bond, the city states of the Lycian League were able to operate their federal institutions and conduct business in relative freedom whether being pressured from one side by the Persians or on another by the Romans. It wasn’t until Roman Emperor Claudius settled the matter once and for all and annexed the region in AD 43 that the power of the Greek city states was broken. 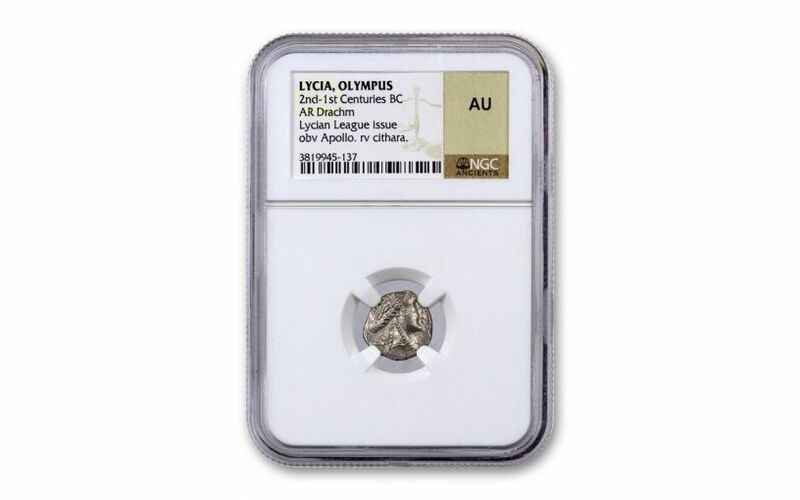 Could this coin represent the world’s first attempt at a league of nations? Find out for yourself by adding this ancient cart to your cart today!